Instagram has made it incredibly easy for the average Joe to take and share great photos. And, for brands with deep pockets, it’s easier than ever before to produce professional-quality photos and carve a captivating visual identity. But, while pretty pictures are all well and good, but they’re not enough to build trust and authenticity. In fact, customer testimonials and commentary are way more impactful than anything a brand will produce. This is why savvy brands like Airbnb and GoPro are turning to their customers to help tell their stories. 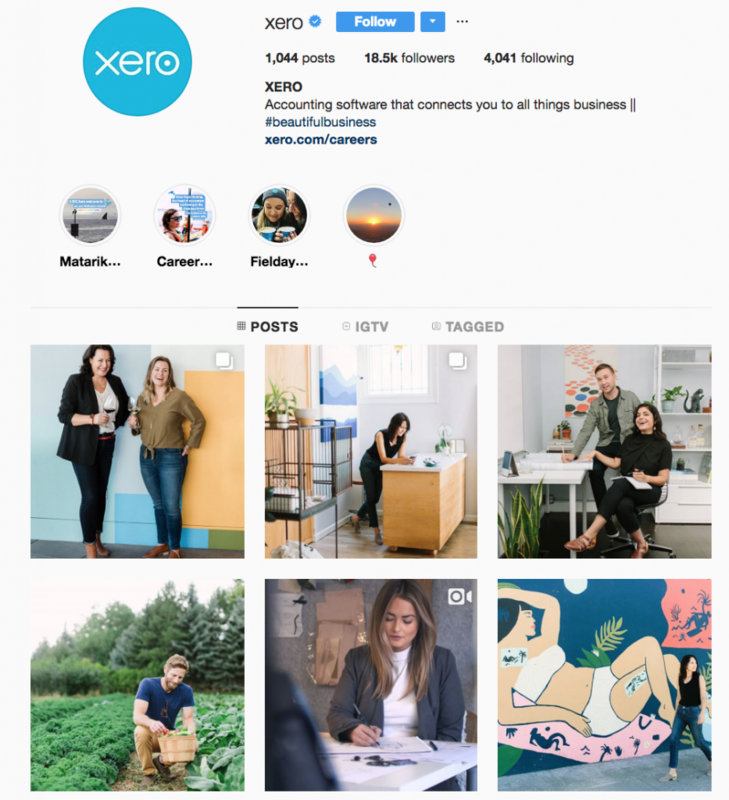 Reposting on Instagram for business has become popular in recent years, with some accounts going all out and only posting content that’s reshared from their audience (Buffer’s Instagram account is a fine example of this). But with the recent spate of data leaks and resulting laws, the question of whether sharing content in this way is actually legal keeps cropping up. Privacy is at the front of everyone’s mind at the moment, so it’s vital that brands respect their customer’s boundaries in every way they can. “Can I use someone else’s Instagram photos?” You might be asking. With so many different sources piping up on the matter, it’s easier to just hear it straight from the source. In the past, Instagram’s terms of service clearly stated that sharing content that you hadn’t created was a complete violation of the platform’s terms. This threatened the end of regramming or re-sharing others UGC. However, this may be changing, as there’s news of Instagram releasing a “regram” feature in the not-too-distant future. Instagram is aware of UGC’s power, and has put the responsibility onto brands to sort out rights and permissions directly with their audience. Meaning, as long as you have permission from the original creator of the content you want to share, you’re golden in the eyes of the ‘gram. Why Repost Other People’s Stuff in the First Place? It might seem complicated to request rights and work with customers to regram, but research shows that it’s worth it. In fact, UGC is thought to be 76% more trustworthy than any branded content – not to mention it’s a super easy way to populate your Instagram feed with amazing imagery for free. Does your marketing team struggle with limited budgets that leave little room for stunning, branded content? This is where UGC can come in to extend your team and help drive your message. 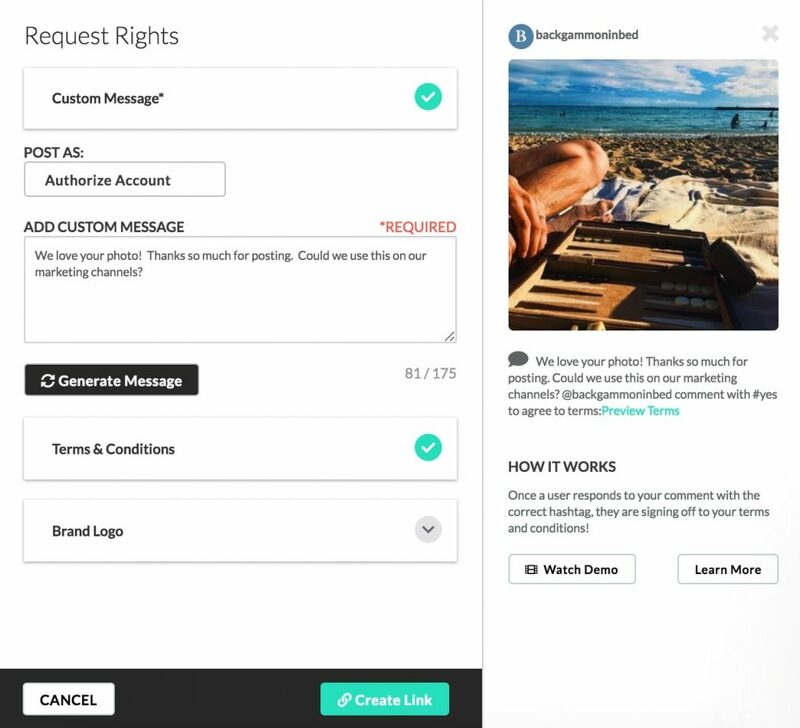 Even if your product or brand isn’t all about mind-blowing sunsets or breakfasts that look like works of art, UGC is still a great way to build trust with customers. (UGC posts shared on social media get a 28% higher engagement rate than standard brand-created posts, so leverage your users to drive your brand). Software brand Xerox has some great Instagram repost examples. 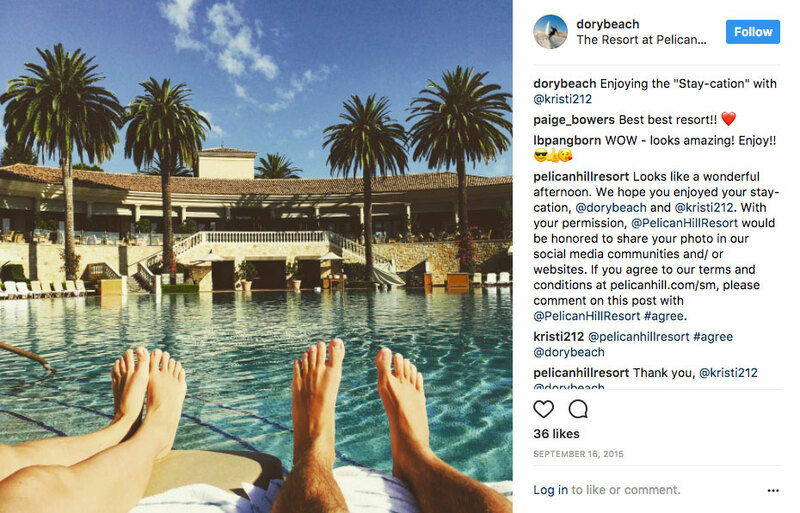 You wouldn’t expect to see pretty sunsets and cocktails on their feed, but they’ve figured out how to use UGC to engage with their audience. The biggest issue here is obviously concerns over copyright and ownership. Content creators put time and effort into creating beautiful shots. Regramming without acknowledging that effort is harmful not only to your brand’s reputation, but to the online content world as a whole. 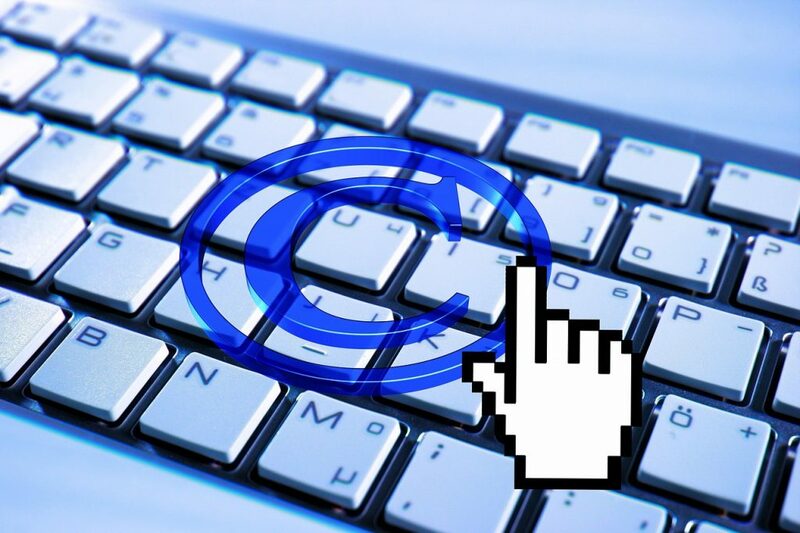 Simply put, the person who created the image or post owns the copyright and, therefore, owns the rights to any benefits from that content. If you ignore this legality, it can be used against you. In the best case scenario, it could create a dent in the reputation of your brand. In the worst, you might face charges. It’s not as scary as it sounds though or, at least, it doesn’t have to be if you do things right. In fact, asking for permission can actively build trust between you and your audience. According to research, 72% of users will happily accept a brand’s request to use their content, with 65% granting permission within 24 hours. 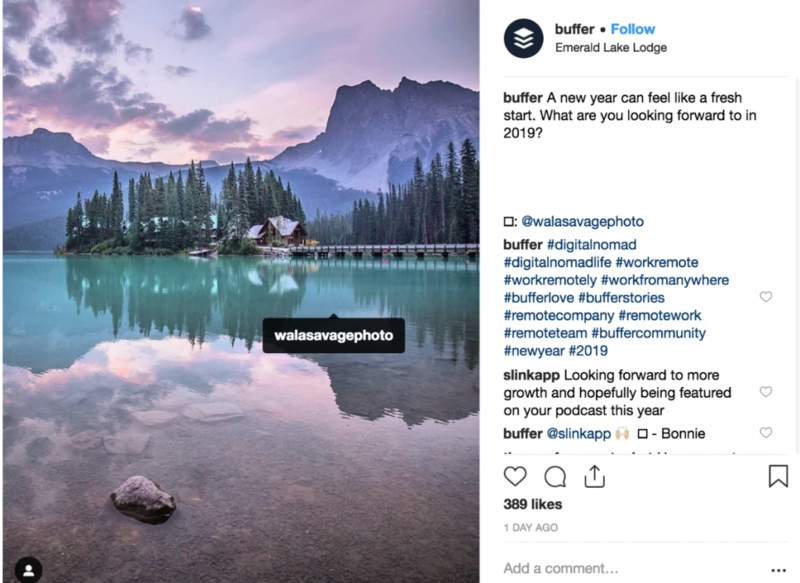 Users who allow brands to share their content on Instagram can see big benefits too. Features like this can help them gain exposure, which can lead to a boost in followers and engagement. And, by asking for permission, you’re publicly showing you value and appreciate their contribution. If the question of how to ask permission to post on Instagram is playing on your mind, we’ve got you covered. The easiest way to please Instagram and its copyright laws is to get explicit permission from the original content creators of the posts you’d like to reshare. Seen a post that you love? You can drop a note in the comment section asking if it’s okay to repost it. Only go ahead and share when you get an explicit “yes” from the creator, though. If you’d rather be a little more private about your interactions with content creators, you can try shooting them a DM instead. Remember to wait until you get a “yes” before you repost their image. 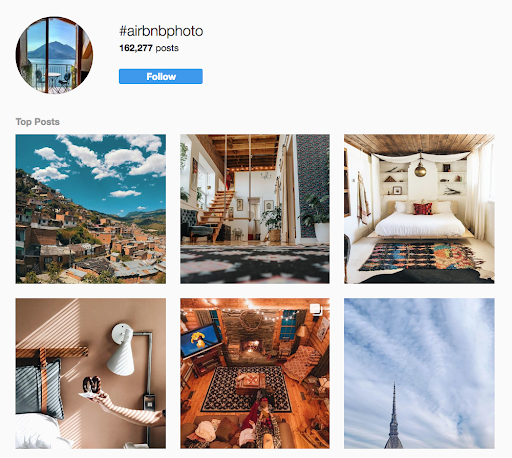 Brands like Airbnb use a hashtag that they encourage their audience to use if they don’t mind their photos being shared to the main Airbnb Instagram account. By tacking on the hashtag to their posts, users are agreeing to the individual terms and conditions the brand has laid out for their UGC. If you do decide to use this method, it’s always a good idea to double check that the original creator is definitely okay with you reposting Instagram photos by dropping a quick comment on the post you want to share. Our newest UGC Rights extension feature, Content Finder, generates a link you can send to users via DM. Once the users agrees, the image is automatically downloaded into your TINT dashboard so you can start sharing it to your social platforms right away. 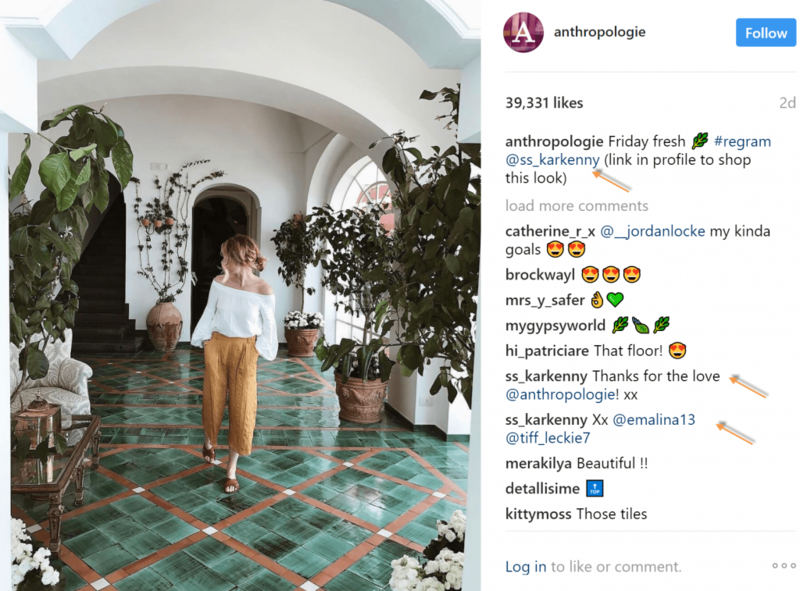 You might find yourself working with influencers on an Instagram campaign. In this case, it’s easy to assume that you can share their content where and when you want – they’re working for you after all. But you’re still going to want to cover your back to make sure you’re following the most important reposting on Instagram rules. The easiest way to make doubly sure that there won’t be any unwanted backlash from influencers is to insert a copyright waiver into your contracts. This might include specific terms that explicitly allow you to reuse their content on Instagram and other places. 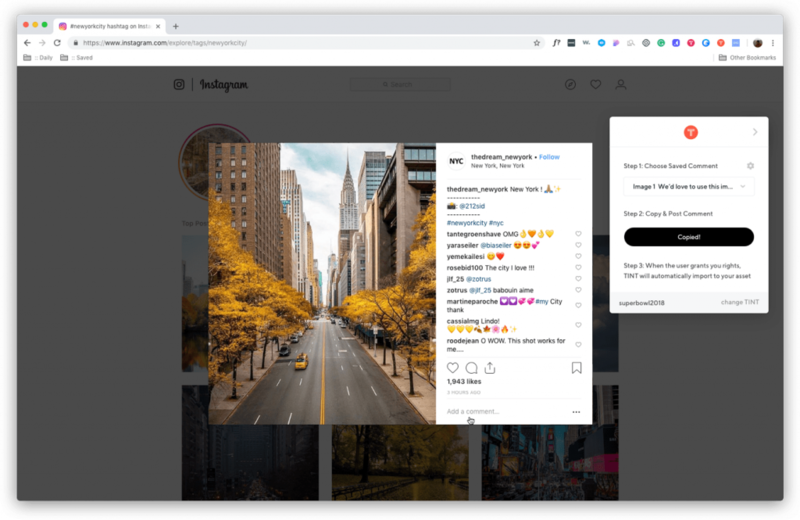 It might feel more comfortable to keep interactions at a minimum when you’re asking Instagram users for permission to use their posts – but this could be detrimental in the long run. While you definitely want to get an explicit “yes” before you repost anything (no means no, by the way! ), you also want to be explicit in what you’re going to do with the content once the user has given you their permission. You might want to share it on a blog post. You might want to double up and share it across your other social channels. You might want to include it in an Instagram series or round-up. Whatever your intentions are – let them be known! The final piece of the puzzle involves fully crediting anyone whose post you republish to your own account. This involves tagging them in the post and mentioning their Instagram handle in the caption. 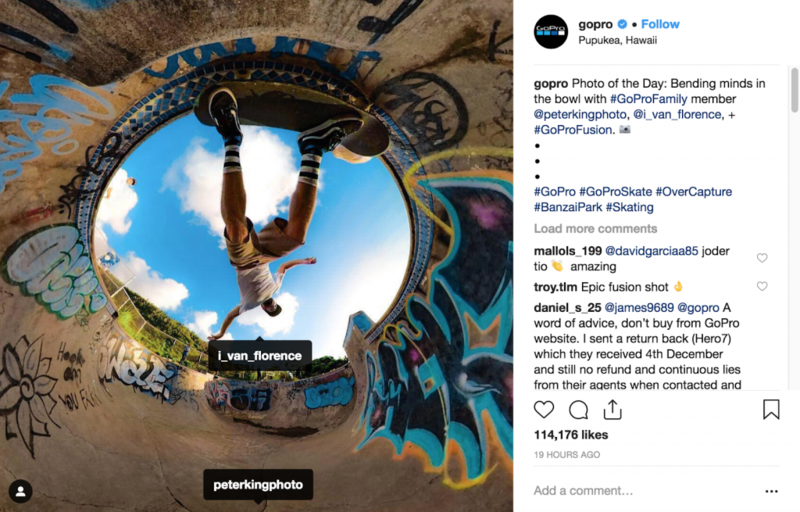 As you can see here, GoPro has tagged the original content creator in both the image (which appears when you hover over the picture) and the caption for full credit. It’s important that you keep the image exactly as it is as well, as changing it in anyway may violate copyright laws. That means no Photoshopping, no adding your brand’s watermark, and no cropping it in anyway. Keeping the photo as it is will show the original creator that you truly value their work. But what happens if you come across an image you love that doesn’t have a known source? The simple answer is don’t share it, as it might be more hassle than it’s worth. Some brands try and get away with this by tagging an image with “source unknown” but this isn’t enough in the eyes of Instagram’s ToS and general copyright laws. Instagram is a fantastic platform for building an engaged following, showing off your brand’s personality, and nurturing a loyal community. But you might find all your hard work is for nothing if you get caught out with copyright laws. Reposting content on Instagram is a large part of many brand strategies, and doing it in the right way builds trust in the long term. 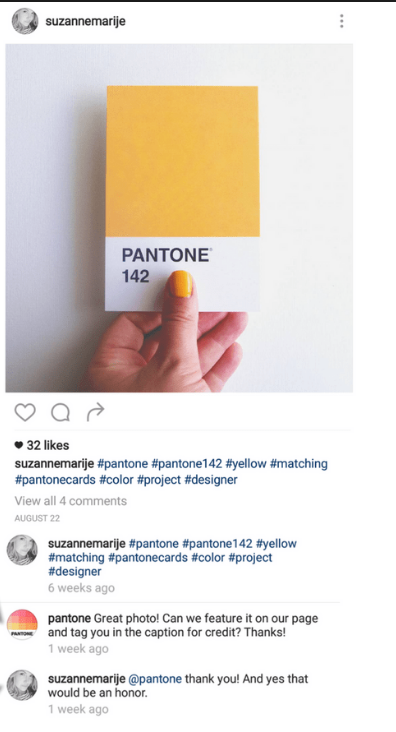 If you want to incorporate UGC into your Instagram strategy (and why wouldn’t you?! ), it’s best to do things by the book to avoid any unwanted attention. Sticking to Instagram’s ToS is easy. Remember that permission is the name of the game. Once you’ve got an explicit “yes” from a user, whether that’s by comment, hashtag, or DM, feel free to repost their image on your feed, but remember to credit them in the caption and tag them in the post.